Longer rear facing and higher maximum weight limit. Increased protection and comfort with 10 different settings. Side Impact Protection protects child's head, neck and spine. Padded shoulder pads for maximum comfort. When your family grows, safety is a concept that you should think strongly about. As traveling starts to be an ever-growing aspect of life nowadays, it’s very important to make sure you take all the necessary safety precautions. The single most important measure that you can take to ensure your child’s well-being, while on the road, is buying a car seat. There are multiple types of infant car seats, but your money will be most likely best invested if you choose a convertible car seat. The big advantage with this type of seats is that you can use them for your child from his early days, up until he doesn’t need an infant car seat any more. As we said above, one of the big advantages with this convertible car seat is that you install it facing backward until your kid reaches either 49 inches in height or 45 pounds in weight. After that point you install it facing forward and your kid can continue using it until he reaches 65 pounds. The adjustable latch connectors are stable and easy to re-position for rear- and forward-facing installation. Most parents who reviewed this car seat, said that they were pleased with the high standards it was built at. It has a solid frame offering maximum protection through the use of shock absorbing foam. 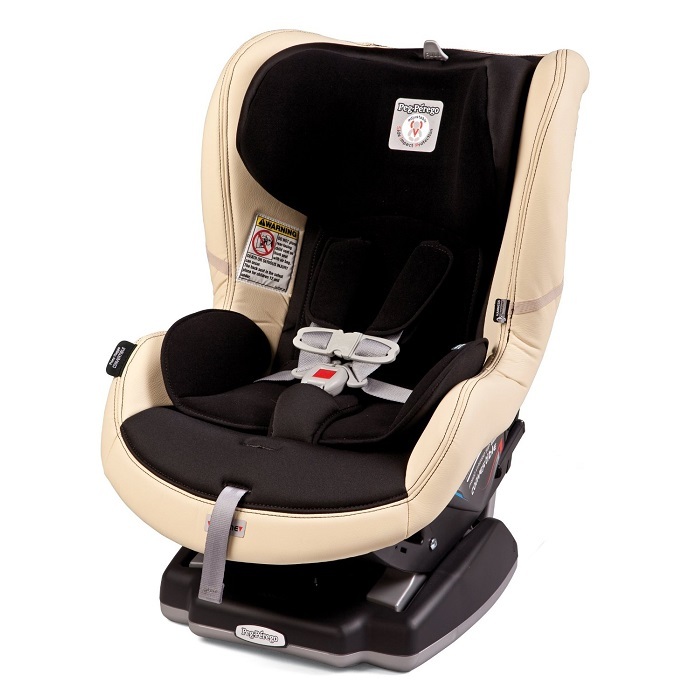 The extra padding in the head/neck/spine area and along the harness offers your child the most comfortable ride. One of the more common problems with infant car seats is the difficulty of installing them and also of using them on a daily basis. The majority of the parents who bought this seat said that it was very easy to get it installed, both in rear- and forward-facing positions. Getting their kids in and out of the seat is according to most reviewers easy as well. One reviewer mentioned that because the seat is light as well, moving it from one car to another can be done in less than 2 minutes, without breaking your back. One parent, especially, mentioned that it was really easy for him to fit the seat into his smaller than average car. Because it’s designed to be as compact as possible, considering all the added padding and cushioning, it’s a recommended pick for people that have more compact cars. 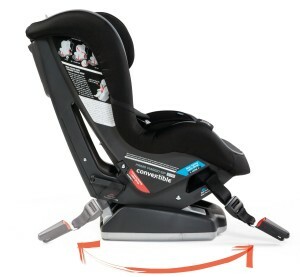 Although most reviewers were very pleased with this car seat, some mentioned certain weaknesses that they discovered. One of the most mentioned weakness was the price. Most people thought that it was fair value for money, but some said that they think they could have gotten many features in a similar product spending less. This depends a lot from one person to another, because something like price is very relative. What might seem fair for you, could seem very expensive for someone else.